The Somerset PEDLs contain large areas of both the Avon Greenbelt and the Mendip Area of Outstanding Natural Beauty (AONB). The Greenbelt covers 202 square kilometres (sq km) including 5.8 sq km covered by the Chew Valley reservoir. 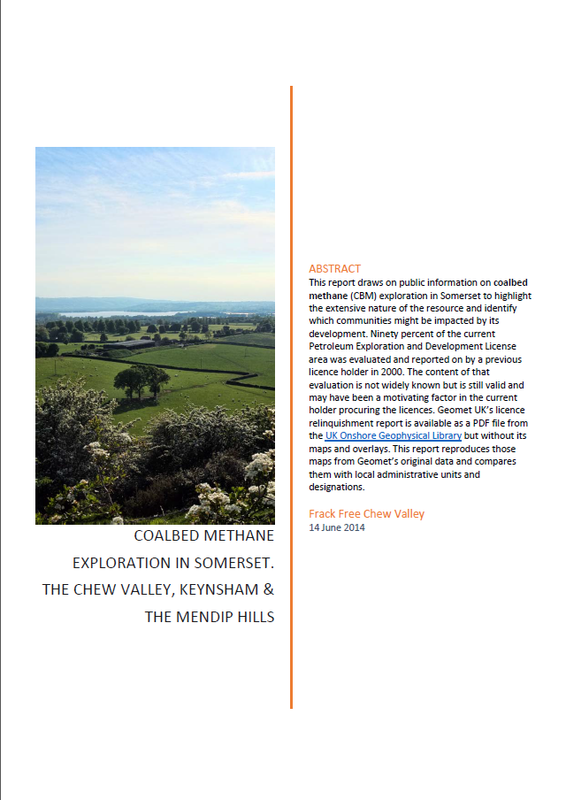 So a total of 301 sq km of Avon Greenbelt and Mendip Area of Outstanding Natural Beauty are licensed for unconventional gas exploration and development – 45% of the total licensed area in Somerset. Note that Balcombe in Sussex is also in an Area of Outstanding Natural Beauty.